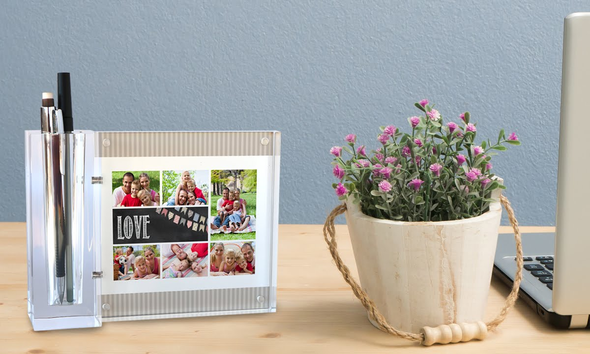 Brighten up your desk at work with a photo of friends or loved ones. A personalized desk set keeps your pens and pencils in their place and has a beautiful photo tiles with a photo memory of your choosing on it. A custom pen and pencil holder is great for displaying a business logo at the office or for displaying a memory in your home office. Create a personalized pencil holder for your desk and keep your best memory alive for many years.